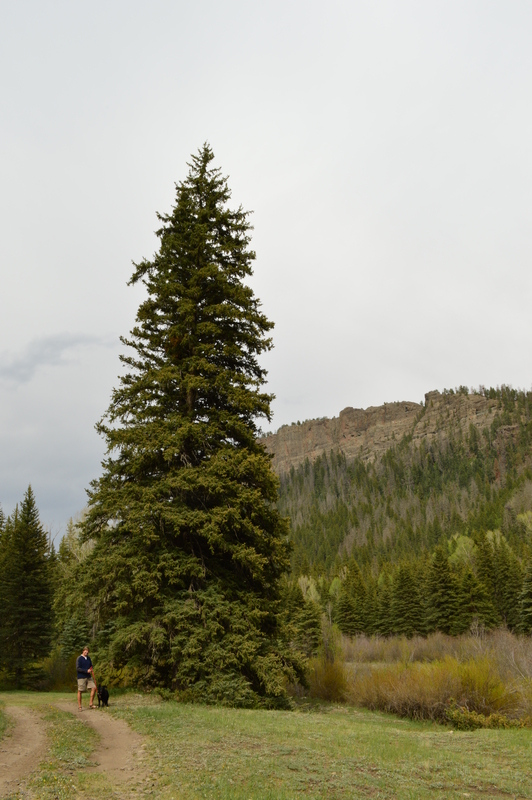 After our great stay in New Mexico, we headed north into Colorado. As we passed over the state line, the sign said “Welcome to Colorful Colorado” – and colorful is right! 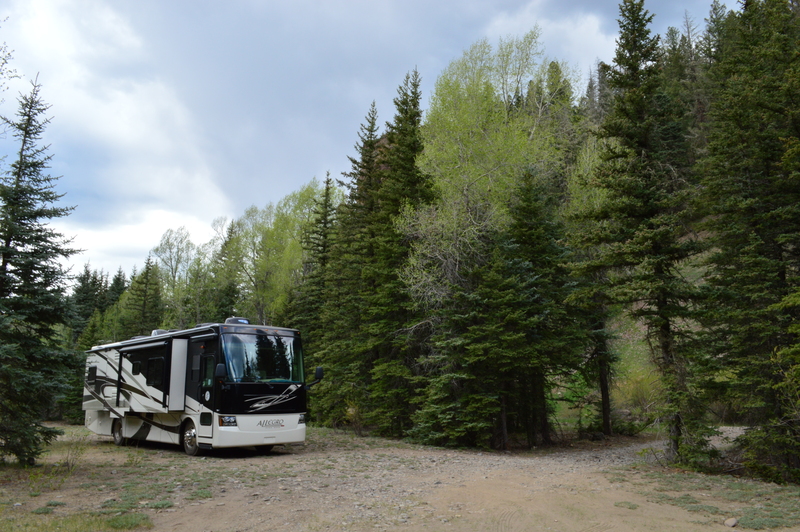 We spent our first night in Pagosa Springs at the Elk Meadows campground. 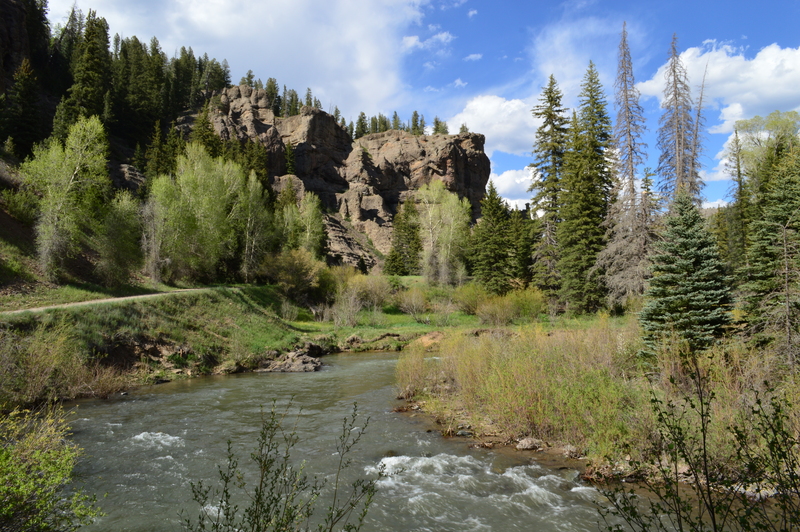 Since we had dry camped for several days, we needed to do some laundry and so we stayed there mainly for the hook-ups, but we really enjoyed our nice quiet spot right on the San Juan River. 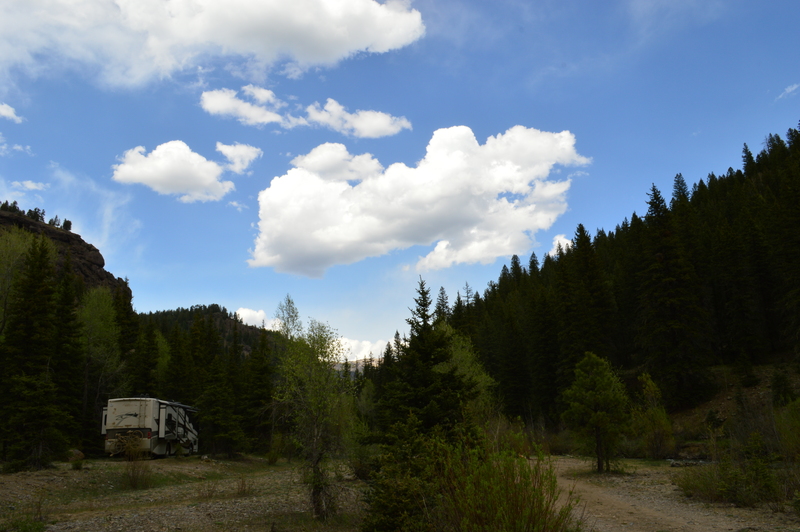 The next day, at Deas’s insistence, we decided to go boondocking, which is basically camping in nature without any water, electricity, sewer, etc. 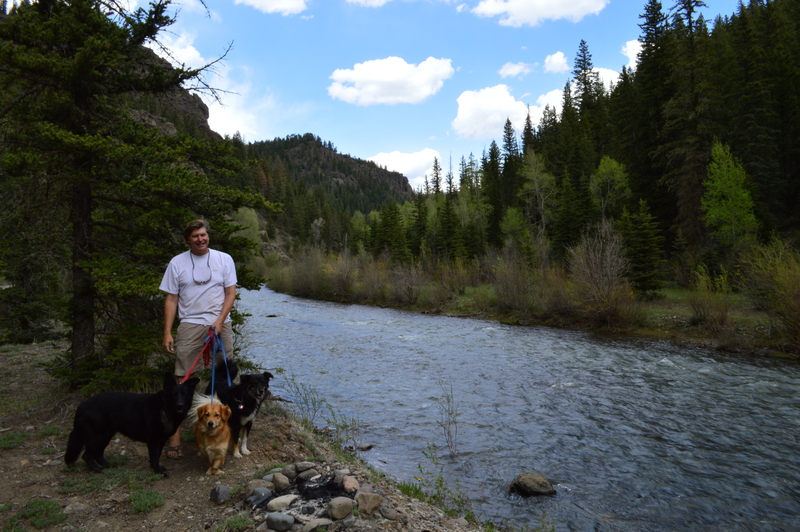 Deas’s idea of camping has historically involved hiking to a site and pitching a tent. My idea of camping is, well, RVing. 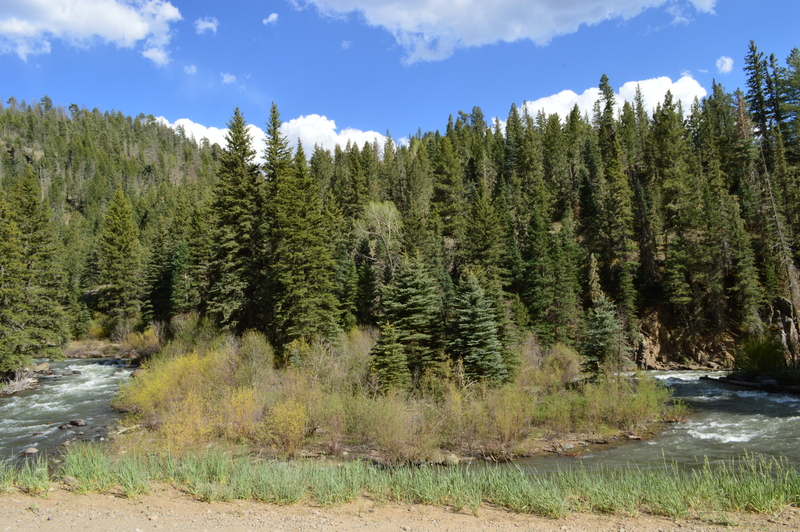 Deas was really itching to get off the beaten path and find a unique site, so he researched some of the dispersed camping sites that are available on the forest service roads in the San Juan National Forest. As we driving down this tiny gravel road in our very large vehicle, I was seriously questioning Deas’s sanity. But once we got to our chosen site, I understood. 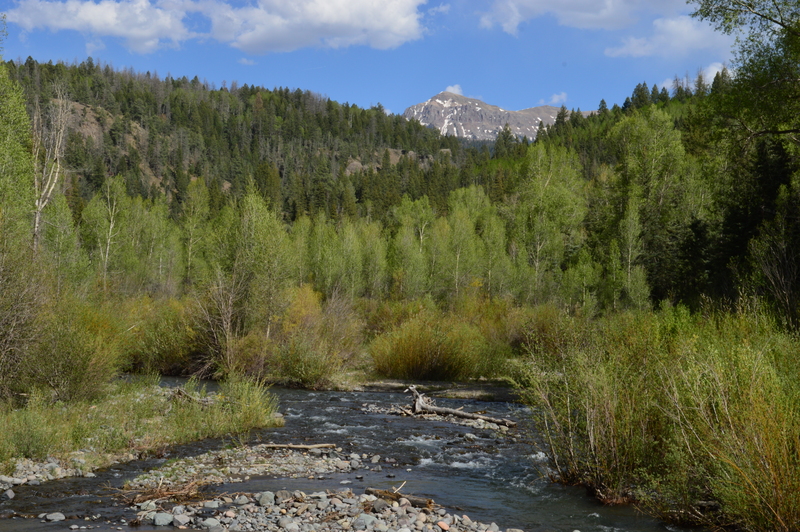 We choose a lovely little clearing right on the San Juan river. 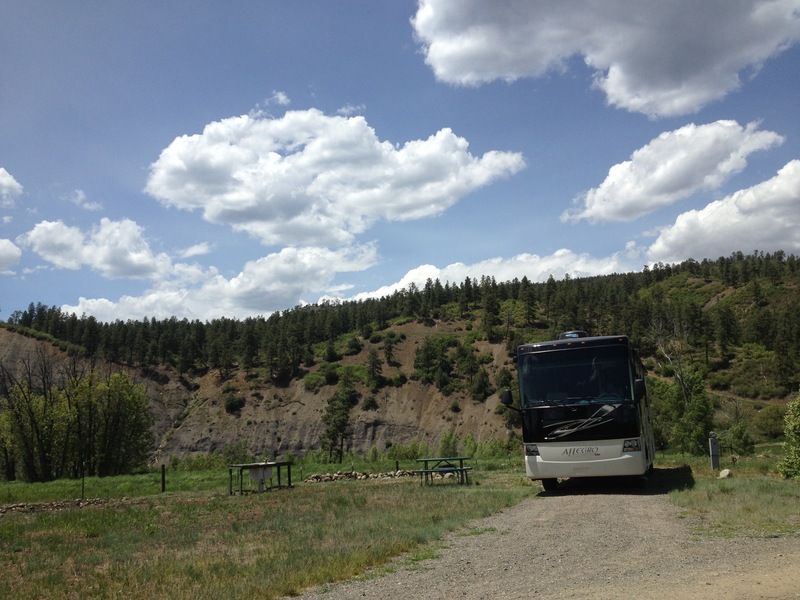 We couldn’t get the RV right next to the river, but it was just steps away. 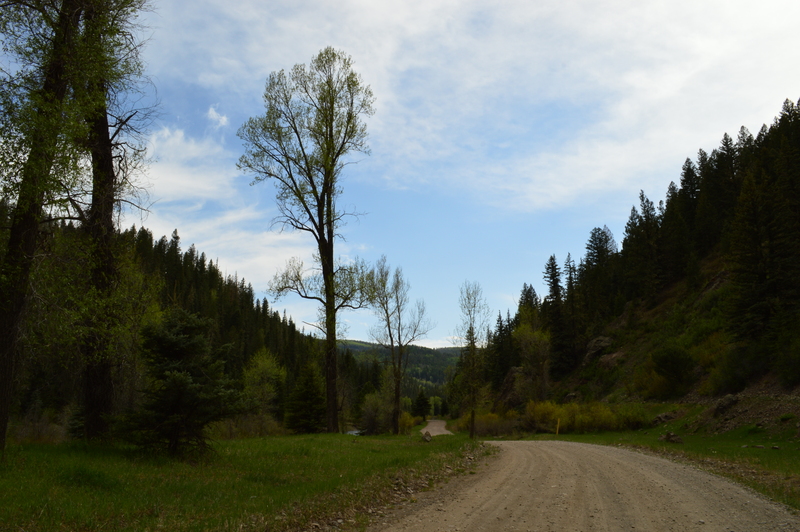 We took several walks up and down the road, and once again, the scenery was breathtaking. It was so picture perfect it almost didn’t seem real. 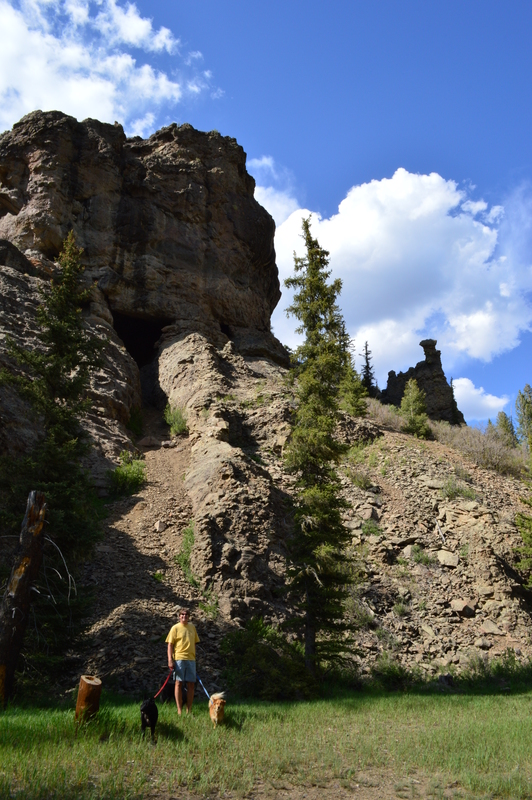 A huge cave – Deas wanted to climb inside of it! So needless to say we had a great experience and we’ll definitely be doing some more boondocking. But I must admit, after a few days of isolation, I was ready for a little civilization. Next stop: Durango!! Looks like a great spot, we are going to be looking for a spot this summer that is secluded with our camper and six dogs! Should be fun! Where is this spot and did you run into any other people? We spent some wonderful time up nfs667 in both 2010 & 2011. Beautiful country and so much to do. Where we were is a popular spot for locals on the weekend, but they were good neighbors. What a beautiful spot for boondocking! Adding this spot to our list for the next time we’re in the area. Thanks for sharing it.